Dealing with surface water run-off is an increasingly important issue in new development, but a lack of understanding within the industry often leads to missed opportunities. 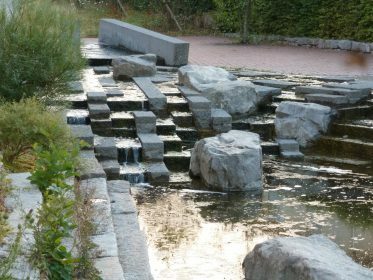 This masterclass will explore sustainable, practical and intelligent water systems, hearing from specialists in the fields of engineering and landscape design. Focusing on how collaborative approaches can achieve the best solutions, we will explore the role of the wider planning and design teams in achieving these goals. From developing site specific briefs, to implementation and whole life usage, this will introduce a series of best practice case studies to explore these issues. Non-members will be charged £95.00 pp + vat and tickets can be booked online. Kent Design members are able to book a maximum of two free places. Extra places are charged at the 10% discount rate.